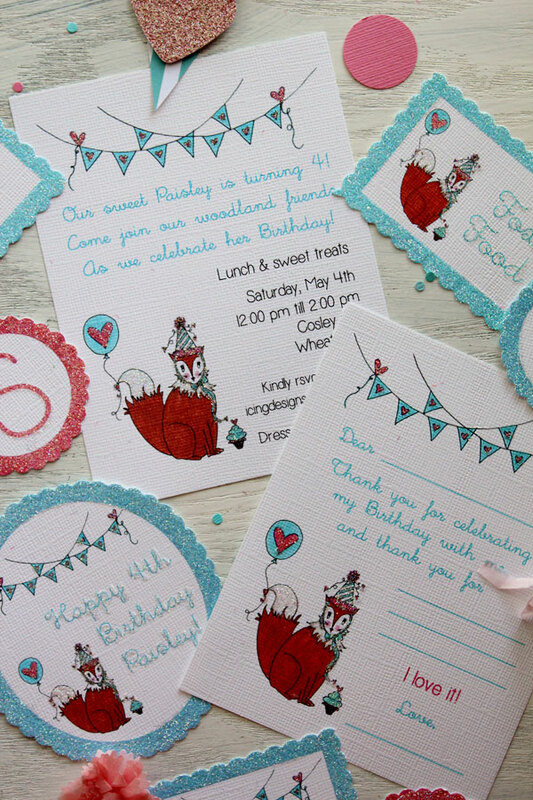 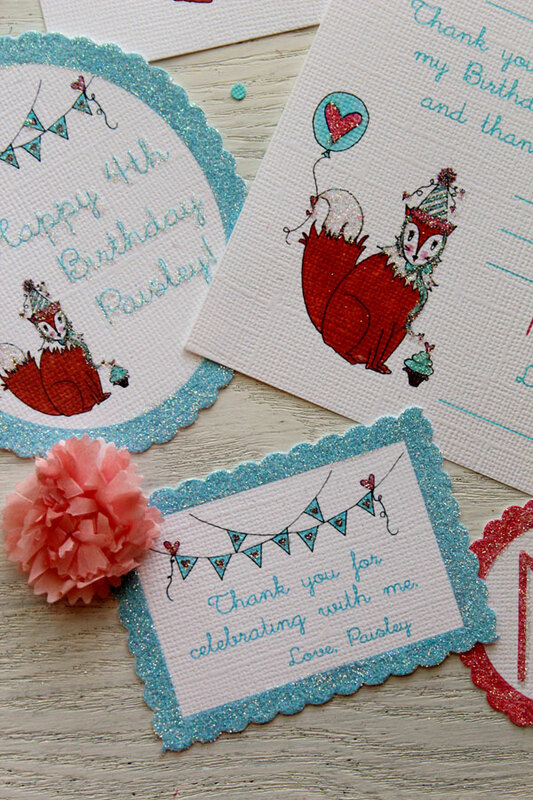 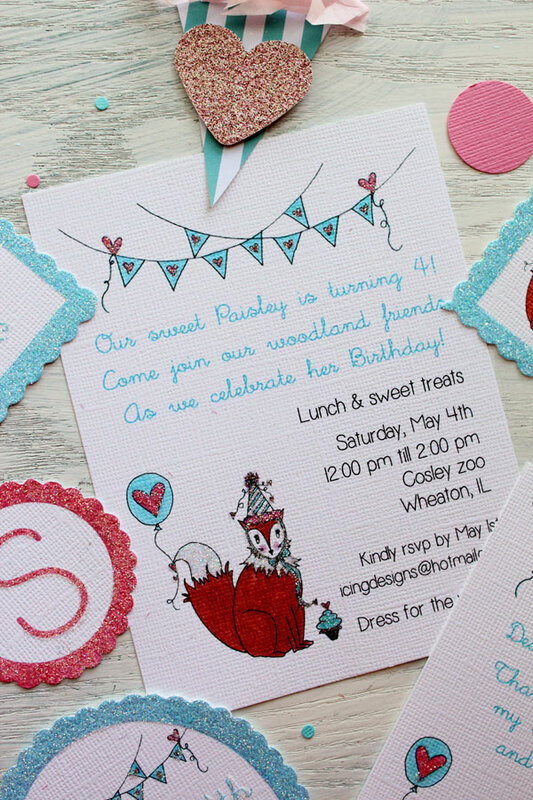 We have always loved woodland animals and how sweet parties revolving around them are! 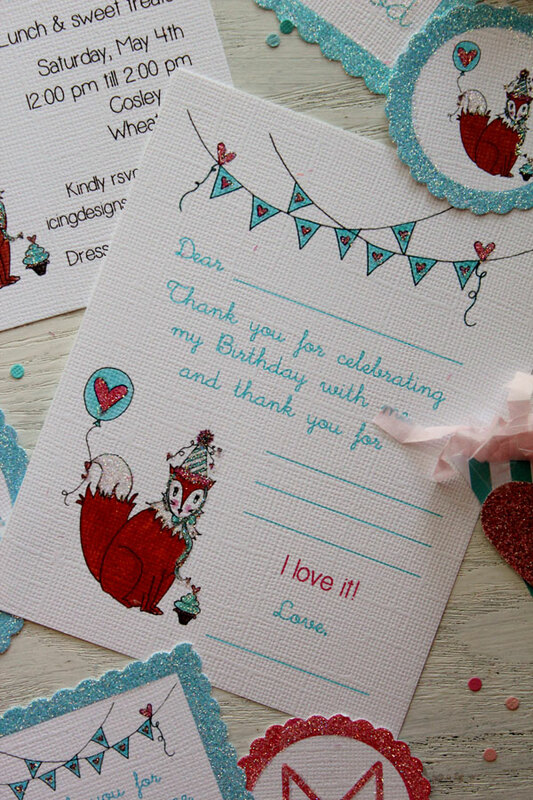 We have a special spot in our hearts for foxes though, they are just so cute and perfect for a boy's or girl's party! 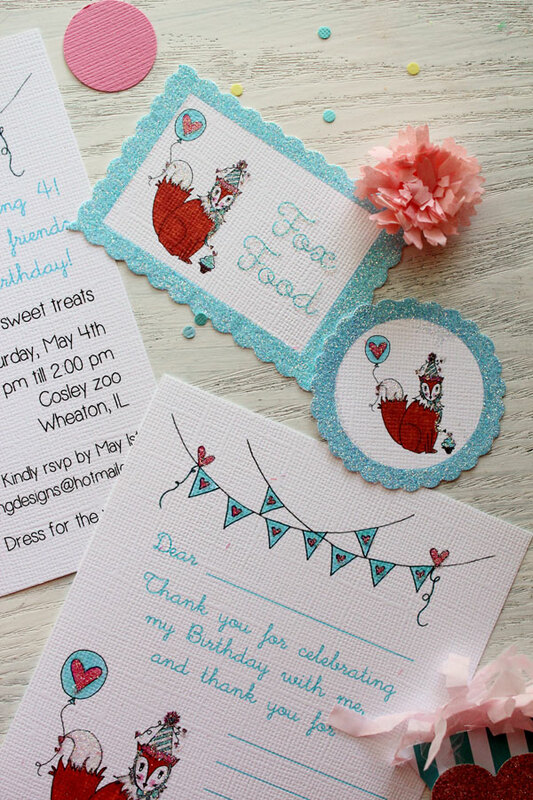 We actually created this illustration a few months ago and are finally getting around to sharing it with you! 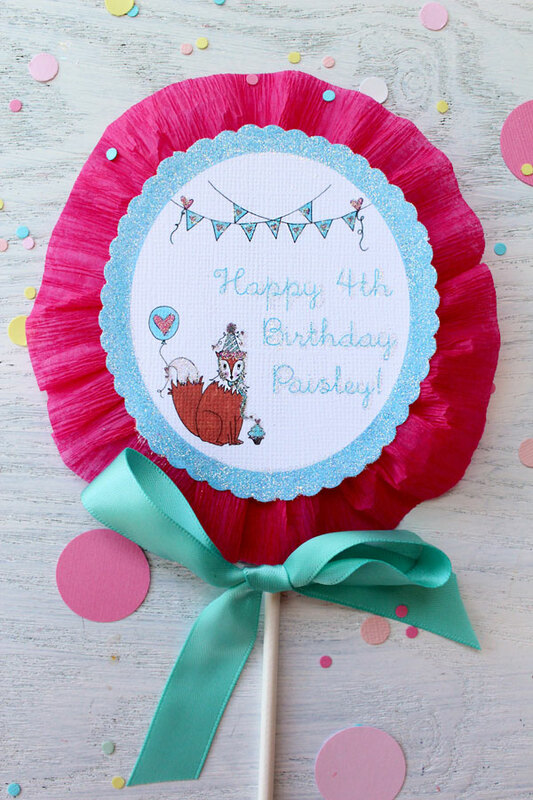 We hope you like this sweet little guy, complete with party hat, a big balloon and of course a cupcake! 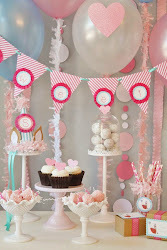 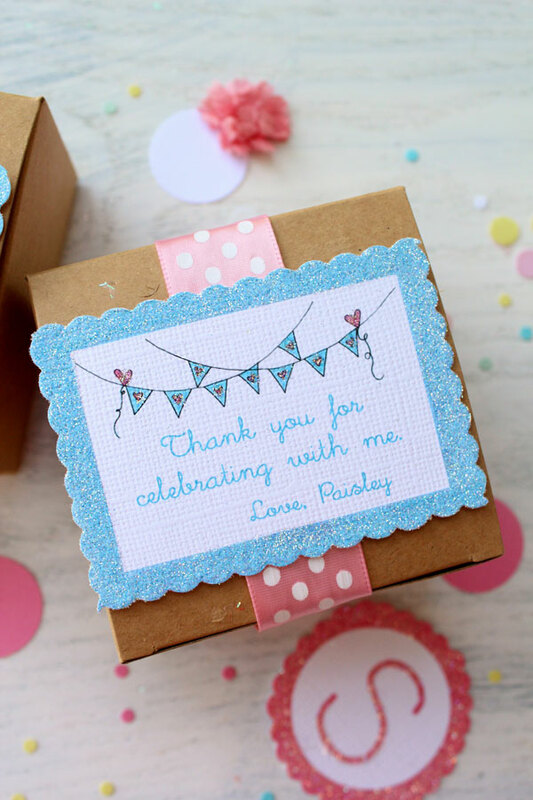 We are looking forward to sharing a DIY and party idea to go with this collection later this week! 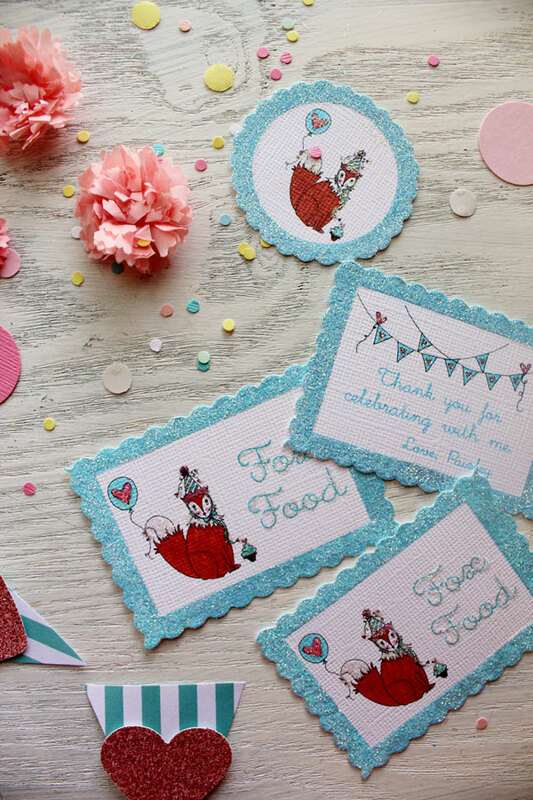 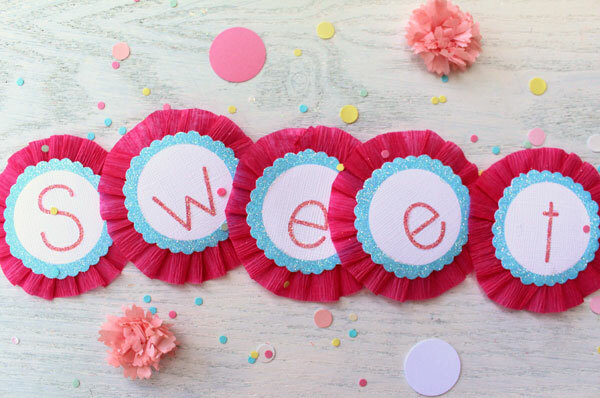 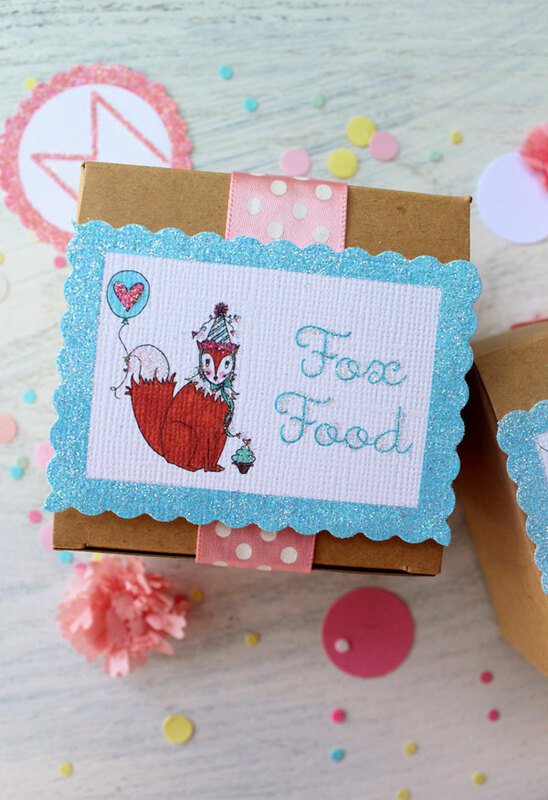 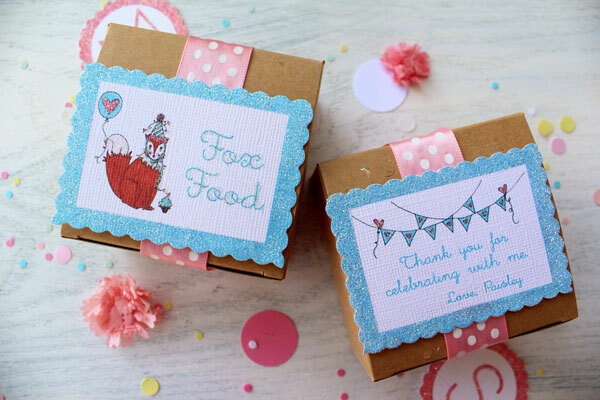 As always this "Sweet Little Fox" collection comes as invitations, cupcake flags, gift tags, cards, fill in the blank thank you cards, oversized cupcake flags, letter garlands and party bags and are all available here in our Etsy shop!